The New Orleans Museum of Art (NOMA) was founded in 1910 when sugar and molasses merchant Isaac Delgado offered a gift to the City of New Orleans to create a “temple of art for rich and poor alike.” The museum, a neoclassical building, designed by Samuel Marx, opened to the public in 1911 as the Isaac Delgado Museum of Art at the main entrance to New Orleans City Park. Today, NOMA has become the premier art museum in the Gulf South. An expansion in the 1970s tripled the size of the museum and in the mid-1980s the museum expanded once again. 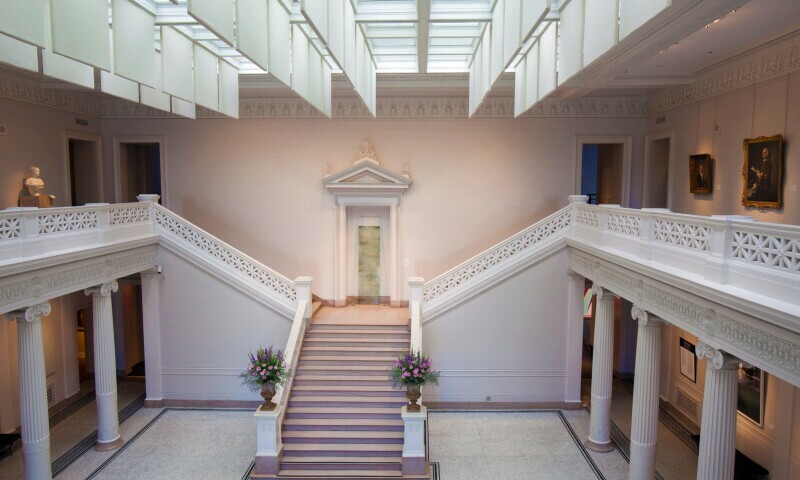 In 1989, the Board of Trustees voted to change the museum’s name to the New Orleans Museum of Art and a state of-the-art-facility of over 130,000 square feet reopened to the public in 1993. NOMA has 46 galleries housing an outstanding permanent collection. Comprised of nearly 50,000 objects, the installations and exhibitions represent historical periods from the Italian Renaissance to the best of the contemporary world. A wealth of American and European art—French, in particular—make up much of the collection. Louisiana artists are also well represented, and the museum has 19th-21st century American and European photography, ceramics, and glass from cultures around the globe, plus outstanding holdings in African, pre-Columbian and Spanish period work, as well as Asian art, especially Japanese painting. In addition, the museum offers a year-round schedule of traveling and special exhibitions, events, tours, school and public programs. In 2003, the 5-acre Sydney and Walda Besthoff Sculpture garden opened, and today there are 64 permanently installed sculptures including works by Auguste Rodin, Henry Moore, Claes Oldenberg, Louise Bourgois, Do Ho Suh, Anish Kapoor, to name only a few. In early 2018, the museum broke ground on a six-acre expansion to the garden. The expansion will have sites for 24 additional sculptures, as well as an outdoor amphitheater and stage, pedestrian bridges and walkways, a new gallery, and an outdoor learning environment. The Museum anticipates completion in early 2019. The Besthoff Sculpture Garden is always free to all visitors and represents a commitment to engage the broadest possible audiences for NOMA. The Museum’s exhibition program is both active and versatile, bringing significant national touring exhibitions to New Orleans and distinguished exhibitions organized by its curatorial staff. NOMA's programming offers innovative experiences for learning and interpretation, and uniting, inspiring, and engaging diverse communities and cultures. Governed by a Board of Trustees, the Museum is a private institution created for the public good. NOMA serves almost 300,000 visitors annually and currently employs 87 staff members. The New Orleans Museum of Art (NOMA) announced the largest and most significant single gift of photographs in the institution’s history, a promised bequest of over 1,300 photographs from the private collection of Tina Freeman. Over the past forty years, Freeman, former curator of photographs at NOMA (1977-1982), noted photographer, and longtime supporter of the museum, brought together a comprehensive collection of 350 photographers dating from the 1840s to today, ranging from works by photography pioneers Hill & Adamson, to vintage prints by Eugene Atget, Richard Avedon, Ilse Bing, Margaret Bourke-White, Lewis Hine, Dorothea Lange, Sally Mann, Irving Penn, Alfred Stieglitz, Doris Ullman, William Wegman, and Edward Weston. This promised gift also marks the occasion of the centennial of NOMA’s first photography exhibition and the Tricentennial of the city of New Orleans. Julia Jackson from “Mrs. Cameron’s Photographs from the Life” , Date unknown.